I have not seen Harry Clarke in its new incarnation at the Minetta Lane Theatre, but I did see it when it opened a few months ago at the Vineyard Theater. David Cale’s Harry Clarke and Billy Crudup’s performance are one of a kind and one for the books. As a nerdy Midwesterner Philip (Billy Crudup) feels that he would come into his own if he only had a British accent. 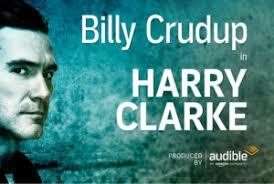 So he creates a British alter ego, Harry Clarke and embarks on living a double life. Harry Clarke is outgoing, funny and dangerous – everything the emotionally damaged, quiet Philip is not. This dark comedic one man play is a thriller filled with a cast of characters.